Visual FoxPro is a data-centric object-oriented and procedural programming language produced by Microsoft. It is derived from FoxPro (originally known as FoxBASE) which was developed by Fox Software beginning in 1984. Fox Technologies merged with Microsoft in 1992, after which the software acquired further features and the prefix “Visual". The last version of FoxPro (2.6) worked under Mac OS, DOS, Windows, and Unix: Visual FoxPro 3.0, the first “Visual" version, reduced platform support to only Mac and Windows, and later versions were Windows-only. 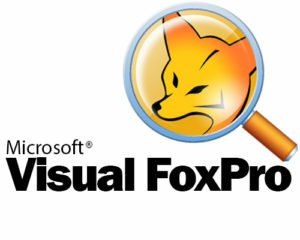 The current version of Visual FoxPro is COM-based and Microsoft has stated that they do not intend to create a Microsoft .NET version. G&G Technologies, Inc.is an Offshore Software development Company providing IT services and solutions to clients worldwide. Our services and solutions involve emerging technologies, continuous learning, innovation and every possible effort that would contribute to the success of our clients. Apart from these, we offer IT Staffing services, wherein clients can hire dedicated Software Programmers, offshore or onsite as per project requirements. Our Programmers are proficient in technologies such as Microsoft DotNet (VB/ C#/ ASP.Net/ XML), Borland Delphi, Visual Basic and databases including MYSQL, Postgres SQL, SQL Server,Oracle, Sybase, Advantage and Other Paradox Databases. Our solutions offer Delphi and FoxPro software development and programming services to its clients across the globe. We have a well versed team of highly experienced Delphi programmers helping many customers in developing robust products ranging from simple database to high end networking based server applications. Our Delphi programming services are designed to meet various business needs of global clients. We have been doing programming in FoxPro since the early 90’s and today we still do a significant amount of FoxPro support and conversion of FoxPro databases to Microsoft SQL Server or Access. We have written hundreds of Visual FoxPro programs over the years. Microsoft Corporation, who owns Visual Foxpro, announced on January 12, 2010 that mainstream support for the product has ended. Microsoft will continue “extended support" until January 13, 2015. There are presently no plans by Microsoft to release any further updates or patches for FoxPro so, in effect, practical support has ended.